Plymouth University has joined forces with one of the country’s favourite festivals to increase opportunities for all to engage with the arts. The University is to become the official cultural and creative partner of the Port Eliot Festival, which takes place each summer at a country estate in St Germans, South East Cornwall. The partnership will aim to enhance knowledge transfer between academics within the Faculty of Arts and Humanities and the creative industries, and champion local and regional successes across the creative sectors. 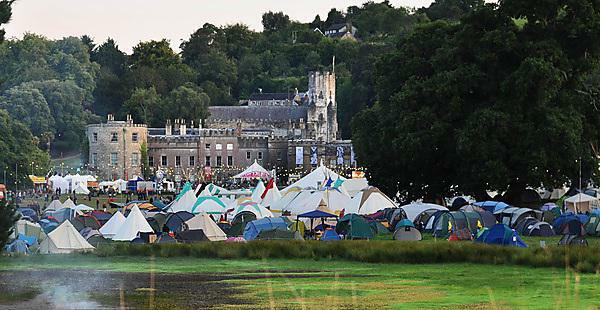 It will also aim to open up the Port Eliot Festival as a platform for student and academic enhancement, and encourage University involvement with the festival’s annual roster of more than 500 creative workshops and 150 practitioners. Beyond this summer’s event, there will also be an exploration of potential research opportunities focussed on the emerging importance and relevance of festivals as a cultural, educational and creative force within society. Since its launch over a decade ago, it has attracted an incredible range of performers, including the likes of Dominic West, Kate Winslet, Jarvis Cocker, Shami Chakrabarti, Jakob Dylan, Jessica Hynes, Suggs, Caitlin Moran, Suzy Menkes, Tracy Chevalier and Hanif Kureishi. This year’s festival is taking place from July 30 to August 2, with confirmed attendees including Ralph Steadman and Ceri Levy, Sarah Waters, Alan Johnson, Ezra Furman, The Unthanks and Rick Stein.